Pulido’s Auto Repair Inc. has been around for over 8 years and is now owned by Jorge and Jesus Pulido, two brothers with extensive automotive maintenance and repair experience. Here at Pulido’s Auto Repair Inc., we pride ourselves on giving our customers the best possible service, that not only applies to the services being performed on your vehicle but the quality customer service that we aim to provide every one of our valued customers. We know that your time is just as important to you as your car, truck or SUV and that’s why we offer loaner cars and a free shuttle service to get you where you need to be while we work on your vehicle. Jesus and Jorge both work hard with their technicians to get the job done and keep their customers happy and their vehicles on the road. So if you have any questions about your vehicle or it’s time for some scheduled maintenance feel free to give us a call, drive on into our shop, or schedule an appointment online for a time and day that’s convenient for you! Our shop might be a little off the beaten path but we are always busy and always happy to help! Owner, Business Administrator, Customer Service and Certified Service Adviser. I have been in the business over 15 years. I began as a tire tech back in 2000 at my brother’s automotive shop. It was there where I discovered my passion for automobiles and learned the ropes of the automotive business industry. I have gained knowledge and experience since then and continue to build upon that foundation by training, and keeping up with new trends in the automotive industry. I hold a G1 – ASE Auto Maintenance and Light Repair Certification and planning on obtaining ASE – Service Consultant Certification this coming winter. I get a great sense of satisfaction knowing that Pulidos Auto Repair Inc. staff is committed to providing quality service and ensuring that your vehicles needs are taken care of. On my free time I love to spend time with my friends and family. Owner, Business Administrator, Customer Service and Shop Image. Jesus has been in the automotive business for several years. He works on the business as much as he works in the business so if you have any questions, he’ll be happy to help you out. 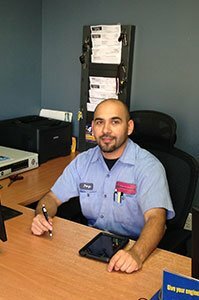 AJ joined Pulidos Auto Repair team in 2015 as an ASE Certified Technician, holding ASE Certifications in 7 different subjects, and soon to be ASE Master Certified Technician. 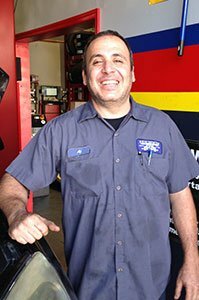 After obtaining his first ASE Certification in 1998, he was driven to become a Master Technician, which remains ASE’s highest recognition. AJ has been a technician for 22 years. He is a hard worker who always keeps a positive attitude and willing to help others. 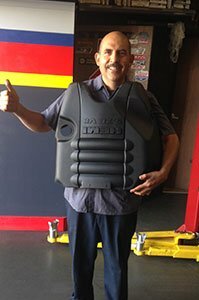 AJ continues training and keeps up with new trends in the automotive industry. On his free time he enjoys off road and ATV drag racing.